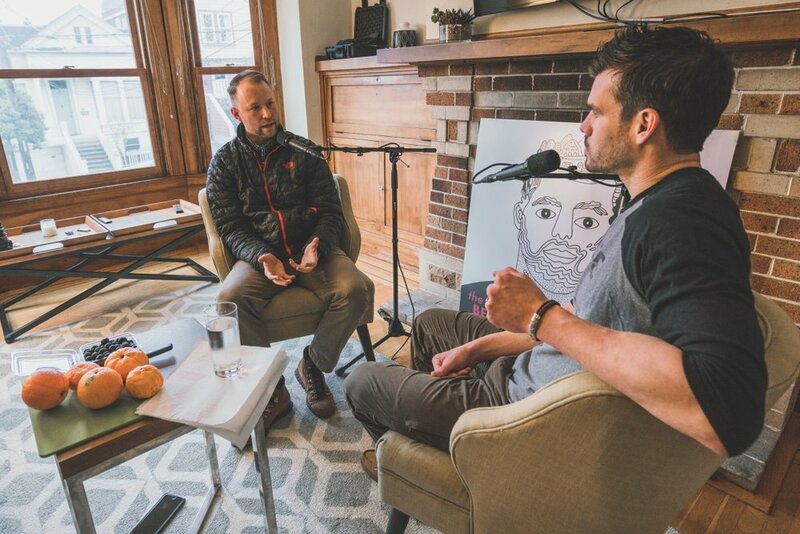 This week’s guest on the BHP is Corey Tufts, founder of Golden Gate Organics in San Francisco, California. The first guest to bring a knife out during a podcast recording, Corey feeds us fresh, organic produce while explaining the real reason organic food and fair trade goods are more expensive than conventionally produced items, how technology impacts the food system, and what we, as consumers, need to know to make the informed choices about what we put in our bodies. Corey’s first exposure to the local food movement came while he was stationed in Maine during his time in the Coast Guard. After returning and being stationed in Alameda, he thought why not bring the local food concept home with him to San Francisco. Not a CSA, Corey describes GGO as a specialized delivery service bringing the freshest, high quality, organic produce to their customers every week. Tune in to hear how technology is changing the way farmers manage their crops and how that trickles down through the supply chain. One of the main reasons organic and fair trade products are more expensive than conventional is the cost of paying a living wage to farm employees. Why aren’t products grown/made in the USA certified fair trade? Corey works on educating students in schools about what produce is and where it comes from. On crop spraying: If a bug won’t eat it why would I want to? Fun fact: There’s no way to stop ear mites in the organic corn world. That’s why when you see organic corn in the store the tips will be cut off. Organic farmers focus heavily on crop rotation. This rotation rehabilitates the soil and prepares it for the next crop going in requiring less, if any, fertilizer in the long run. Anti-oxidants fight free radicals in your body. The deeper a color is in a tomato, for example, the more antioxidants, and natural defenses that tomato has. Think of the difference between a Subway tomato and a organic locally grown tomato. If you fail to plan, plan to fail. If you want to eat healthy, put some forethought into what you’re going to eat this week. What does healthy mean to Corey? Eat mostly produce and drink mostly water. Moderation is key.